The Cormoran Hotel & Residence, designed as an amphitheatre structure, offers panoramic views over a natural setting in a location easily comparable to any of the most famous and exotic destinations. In this uncontaminated spot, refined, comfortable and exclusive, every detail has been taken care of to make your holiday dream come true. Our five accommodation solutions have air-conditioning, satellite TV, radio, a direct line telephone, safety deposit box, and hair dryers for your comfort. 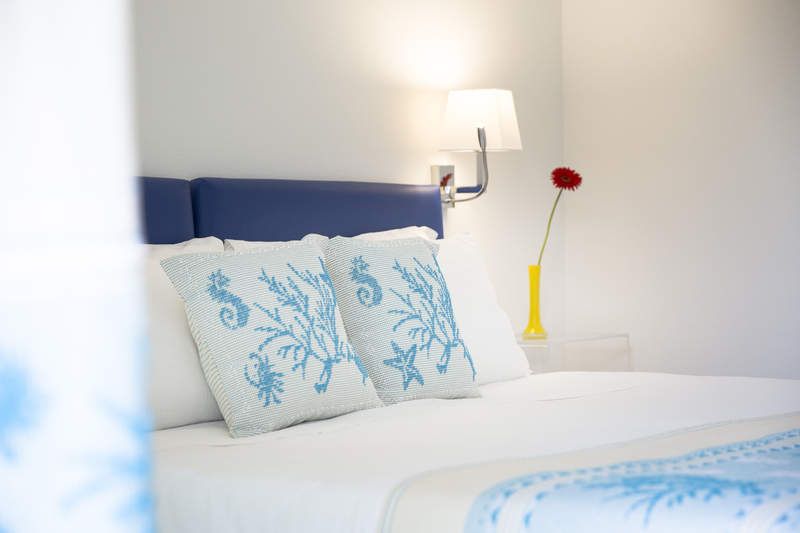 The Cormoran Hotel boasts 70 bedrooms: 2 Junior, 7 Superior, 19 Deluxe, 42 Classic. Smoking is prohibited in guest rooms, but permitted on the terraces, or external balconies. 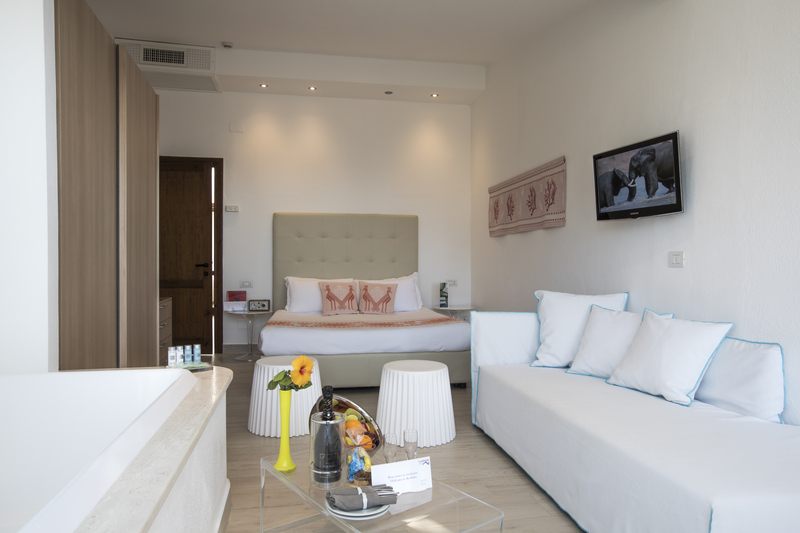 Spend some real relaxation time with a good book and a glass of wine after long sunny days with all the activities that await you at Villasimius, whilst your children enjoy all the space they will need to rest or play. Located on the hotel front beach, few steps from the sea(near the miniclub). Three-roomed suite: two double bedrooms, two bathrooms with shower, one living-room with double sofa-bed, kitchenette with dishwasher, sea-side veranda with a private garden with table, chairs, armchairs and sofa. Capacity: 4/6 people (in addition baby-cot if requested). Classic Rooms Garden Side with ground floor verandas or balconies, located footsteps from the beach. Classic Rooms Seaside with ground floor verandas or balconies, located footsteps from the beach. 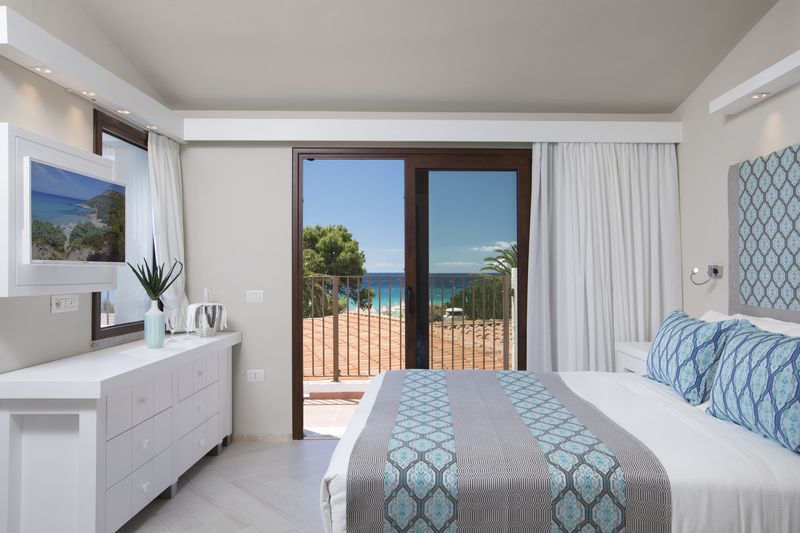 Located on the first floor of the Hotel, the Deluxe rooms Seaview offer splendid terraces with breath-taking views over the Capo Carbonara Gulf. Rooms are located on the 1st floor of the hotel with a great sea view. 1 rooms with two single beds + open space room with one double bed (in addition baby-cot if request), a bath tub for two, a little lounge area. The Superior rooms Seaside, with sea-facing terraces, footsteps from the beach, are the perfect choice for guests seeking comfort, elegance and convenience whilst ensured of meticulous attention to detail and a unique location. I’m convinced that there are very few places anywhere in the Mediterranean where you can walk out of your room and practically dip your toes into the sea. A bath at sunset is an experience you won’t forget during the winter months.